Everything You Need To Know BEFORE You Buy The Ikea Ektorp! I get asked about my sofa so often! 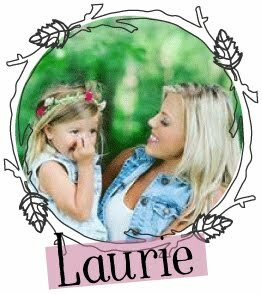 I've talked about it many many times on Instagram and even here on my blog. I reviewed it before here but wanted to give an update as it's been about a year since my last review of it. I have owned my Ikea Ektorp for almost 4 years total now AND we bought it used. It retails for about $899 for the sectional. I'm not quite sure how old it is, or how long the previous owners had it before we bought it. It's been pretty good to us over the years. It's held up nicely, and while I have had to re-fluff my cushions (read about how I did that here)and I've purchased new covers for it, it has held up really well. Which is why I recommend it for anyone in the market for a sofa! 1. 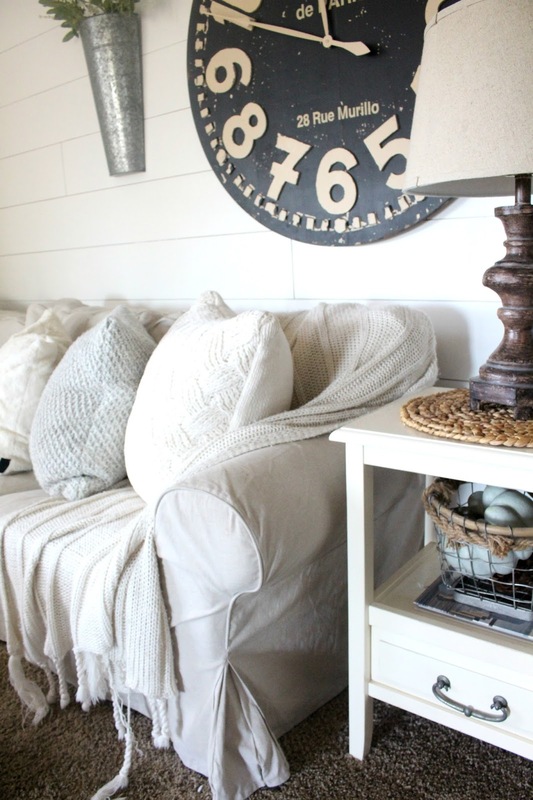 EVERYONE WITH KIDS SHOULD HAVE A LIGHT COLORED WASHABLE SOFA. Okay, so I realize that to some people it might be a little crazy that we have a light colored sofa with a toddler, teenager, 3 dogs and a messy hubby. I get that the idea of it is pretty intimidating, and I'm not going to lie. It requires a little bit of "maintenance" on my part, like washing it at least every other week, but I think that's the number one reason why you SHOULD have a light colored washable sofa with kids. 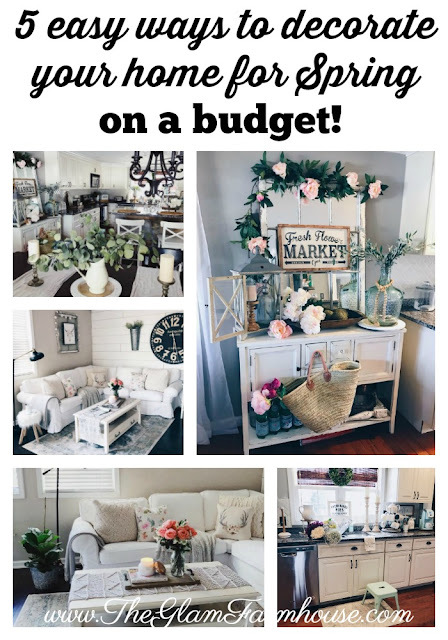 The idea of dropping thousands of dollars on a pretty sofa from Pottery Barn doesn't sound super appealing when I know that most likely Savanna is going to spill kool-aid on it, Nick is going to put his muddy football cleats on my pretty cushions and hubby is going to plop down after a long day of working in a dusty house. I love that I can just rip off the covers and it in the wash and it's as good as new again! I'm not that Mom that tells the kids not to play or eat in the living room. It's just not something that's concerned me really. Which also means that yes, spills happen..and somehow I always end up with messy cushions. Which is why I set aside a few hours every other Thursday to wash my sofa covers. I swear it's not hard once you get used to it, I just take all the cushions off in the morning, use a cup of vinegar and some gain fabric boosters in the wash and BAM, It's as good as knew by the afternoon. I put it in the dryer for about 25 minutes on the "AIR DRY ONLY" setting and I've never noticed problems with shrinkage or anything like that. I like to put the covers on while slightly damp just because it makes the process a little easier. I use this to pull out the wrinkles, especially at the corners and edges and it works awesome! Plus I love the fresh clean smell! Maybe we got lucky with ours being used, maybe that made it extra comfy and soft and cozy. I'm not sure, I have noticed the ones in store seem a little stiff at first, but I can promise you, over time, the cushions get softer and more cozy. Instead of wearing down, it just gets better with age. Kinda like me. ;) At first Nick complained it wasn't wide enough, but we're used to it now. It's also not the tallest sofa so if you have an extra tall hubby or if you're extra tall that might be a deal breaker for you. It's never been an issue here though. 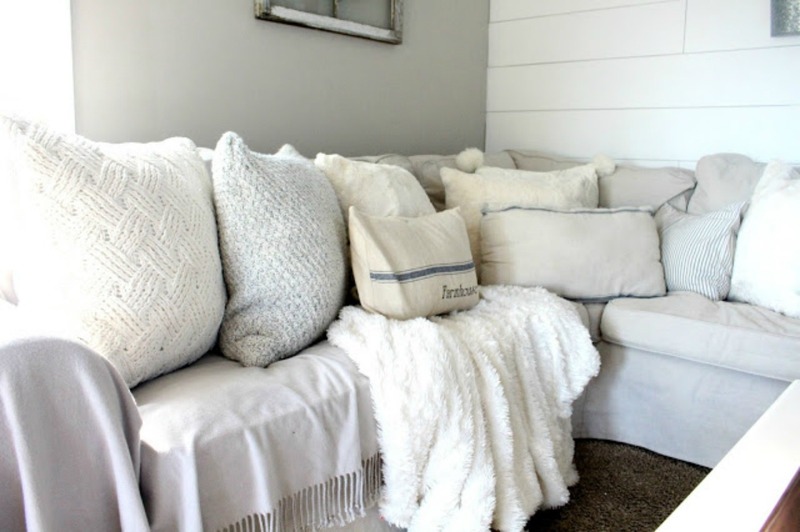 Of course I love to use extra blankets and pillows on my sofa to make it even more comfy and cozy, that's the cool thing about white or a light color, if you get bored you can just switch up the pillows! 4. How To Keep It Clean Between Washes? I'm not going to lie, most of the time, I mean sometimes.. I get lazy and don't wash it as often as I should, so in between washes I try to keep it semi-clean. I love using my Scotch Lint Roller to remove all the sticky stuff and hair that gets stuck on it from our puppies and just every day things! If I notice a stain or mark I'll just use a damp cloth to dab it out and it usually works as long as it's nothing major. I mentioned before that we've had this sofa for YEARS and still love it now more then ever! It's probably the single best purchase I've made. It fits in with any decor style, can be made to be classy and elegant or rustic. If I get bored, I spend the $100 and get a new cover- I've purchased 3 covers over the 5 years we've had it, the first cover was because the initial one we bought used needed replaced. The second was beige and the third was my most recent one to the new color and fabric here. CONS: The size- It can seem small in comparison to other sofas. It can get dirty quickly so it requires maintenance to keep it clean, but don't all sofas? Can seem stiff at first. In the end, the PROS far outweigh the cons for me. Once this one wears out, I will probably purchase another one. Would I purchase this again? IN A HEARTBEAT! I actually am getting ready to purchase the full size sofas! It's held up so well over the years, is comfy and has been so good to us. I suggest it to everyone that asks. Especially to young families on a budget. 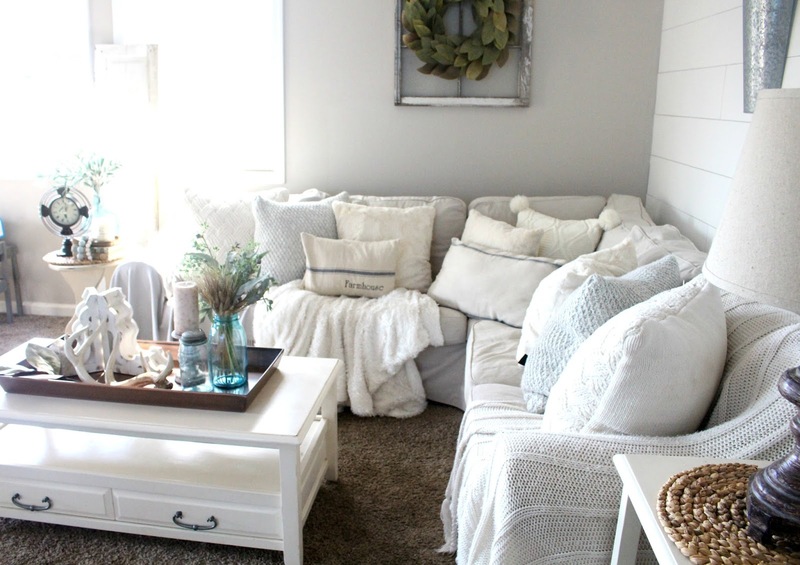 It looks stylish and cozy without a hefty price tag. 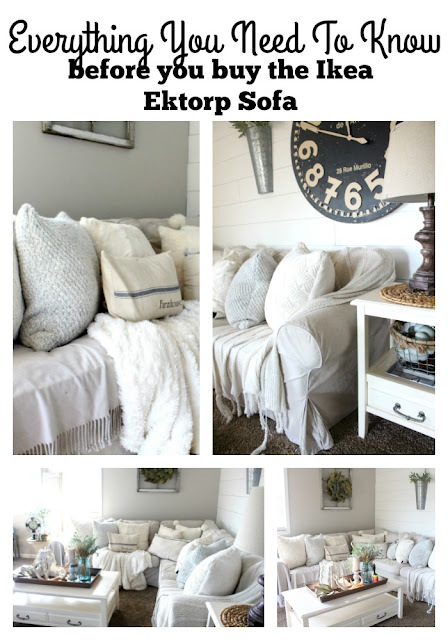 Do you have an Ikea Ektorp sofa or are you thinking about buying one? What are your questions or concerns with them? Feel free to chat with me on Instagram or Facebook! Just love hearing from you guys! We purchased the chairs for our beach house (4) and they came with Navy covers and then we purchased white covers about a year later ......because its a second home for us, they don't get used all the time but they have held up fabulously and we LOVE them! IKEA knows their stuff for sure! I would love to go back in a time machine and tell my younger self to go with a lighter sofa but alas. No go. And I stilllll don't allow certain foods in the living room. The Ektorp used to come with a sleeper sofa option and we had that. It was the best couch we've ever had. We had it for years before selling it to,a college student for her first apartment. After 7 years it only had a little bit of wear on the rolled trim...great sofa! We have the sofa and loves eat, and I think I want the sectional for our playroom next. Love my Ektorp's. Something we always keep with us! It is human nature because our feelings are attached with them like I discovered chairs from chairthrone and truly satisfied with the material that provided along with the color that I always keep not to get fade.